many of the features that TinyMCE misses. Figure 4.9 shows the editing of a new blog post using Windows Live Writer. 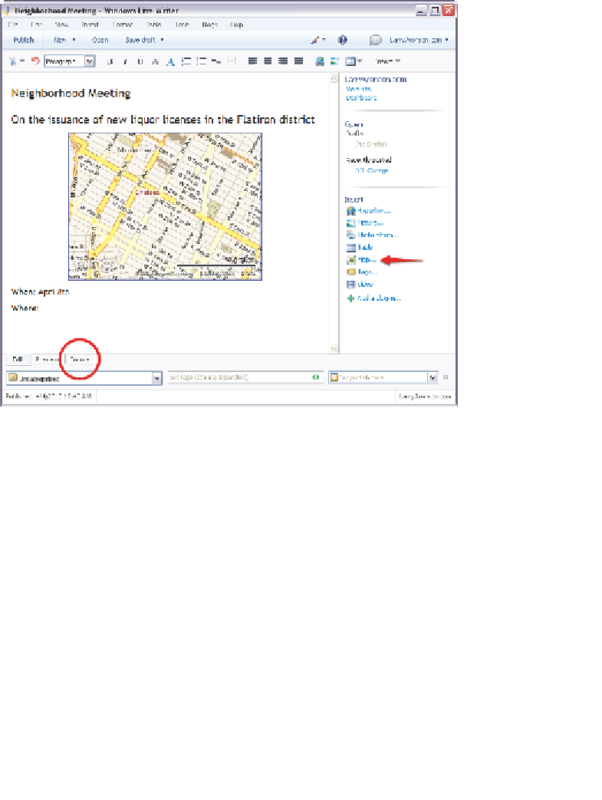 he post contains an embedded map from Bing, Microsot's search portal.